Are Some Sports Waivers Unfair? Home / Blog / Are Some Sports Waivers Unfair? I am aware that track and field is a high risk sport… involving many risks of injury, including brain damage, blindness, paralysis and, of course, death. What is enjoyment of life? When someone is injured in circumstances where blame is assigned by a civil court, the defendant must pay for the injured party’s medical expenses. The defendant could also have to pay for any potential future lost wages. But those injured through negligence face a myriad of other future life cost such as the ability to pursue the pleasurable activities they once enjoyed. Stan V. Smith, a Chicago-based economist and author of the legal term “generally to enjoy life” is apparently not comfortable with the enjoyment of life provision found in thousands of sports waiver/release forms. Smith knows such warnings have a place in school waivers, but would like to see them accompanied by clear statements that districts will work hard to minimize risk by taking precautions and set forth reasonable standards to keep students safe. Theresa Amato of FairContracts.org has seen similar issues with school districts and other youth organizations before. 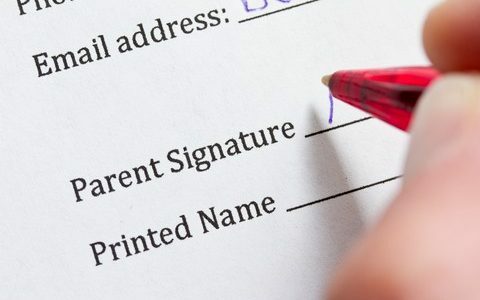 Contract templates are frequently purchased from legal form sellers, which are then tweaked to suit their needs by the district attorney, according to Amato. The districts are likely pressured by insurance companies to include such sweeping language, she said. Amato’s concern is that the language in the waivers could prevent the injured parties from filing suits. I totally disagree with the statements made by Smith and Amato, who seem to miss the point of a sports waiver/release. Its purpose is to balance the scales of the justice system, which is tipped in favor of plaintiffs. This is clearly evident by the quantity of frivolous lawsuits and excessive amounts awarded by juries. It was never more apparent than during the liability crunch of the 1980s where volunteers refused to offer their services when affordable General Liability insurance wasn’t available. Many courts will strike a waiver/release if it’s not specific in terms of the injuries and damages that may occur. If you try to soften the blow, as recommended by Smith, a court could use such language to invalidate the waiver/release. Waiver /releases are upheld for the purpose of dismissing a minor’s lawsuit in about 10 states if there was no gross negligence and if the waiver/release was intelligently drafted. In the other 40 or so states, the waiver/release may be introduced into evidence to trigger an assumption of risk defense that often reduces the amount of settlement by up to 30%.